This Reference Article defines and explains the topic of TEKLYNX CENTRAL licensing. The administrator is the core or ‘server’ license. It is required for TEKLYNX CENTRAL to operate. This allows users to setup and control the system. Without users and printers added, no one can design or print labels, however. 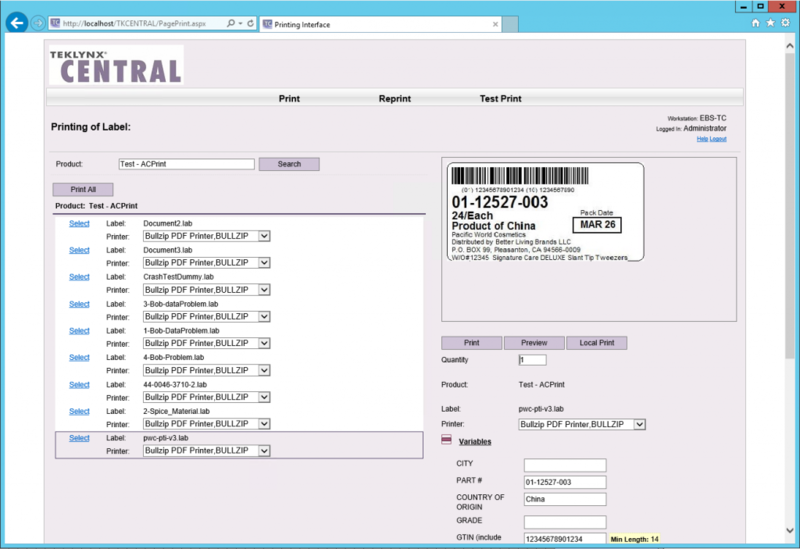 Print Users access TEKLYNX CENTRAL via a browser-based user interface (BBUI). The software operates under a concurrent model to control the number of users allowed per the license. Thus, when one user logs off the browser, it allows an additional user access. TC can be configured to enforce a time-out to log users off the system. Print Users can only print to named printers and access label designs configured by Design Users. To print to a printer, an administrator must identify the printer in the TEKLYNX CENTRAL system. 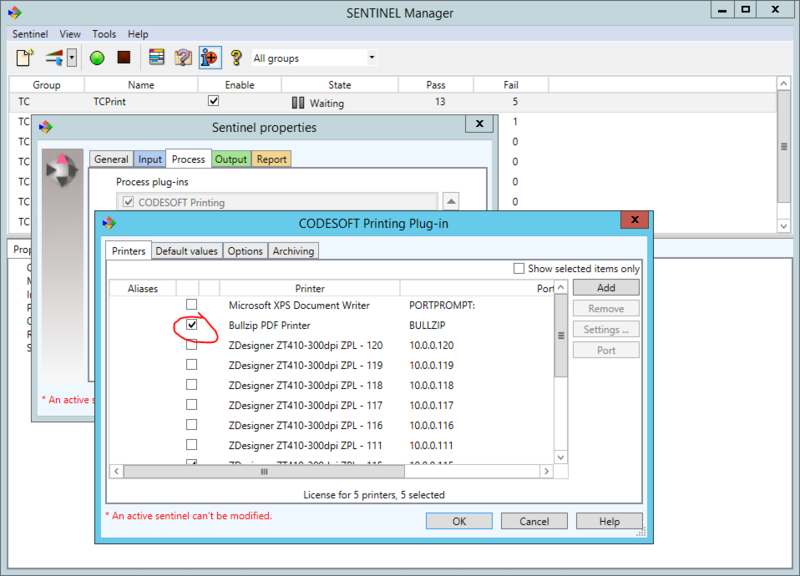 The license controls the number of printers that the system can assign in the Print Manager (aka SENTINEL) interface on the server. Named printers can be un-named and reassigned by an administrator. Printer Users can only print to named Printers. 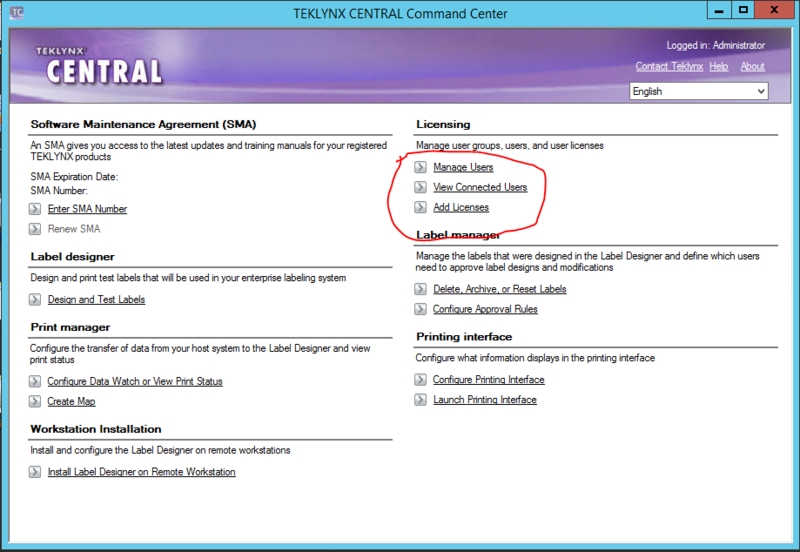 The TEKLYNX CENTRAL license also controls the number of concurrent CODESOFT users (aka Design Users) allowed. 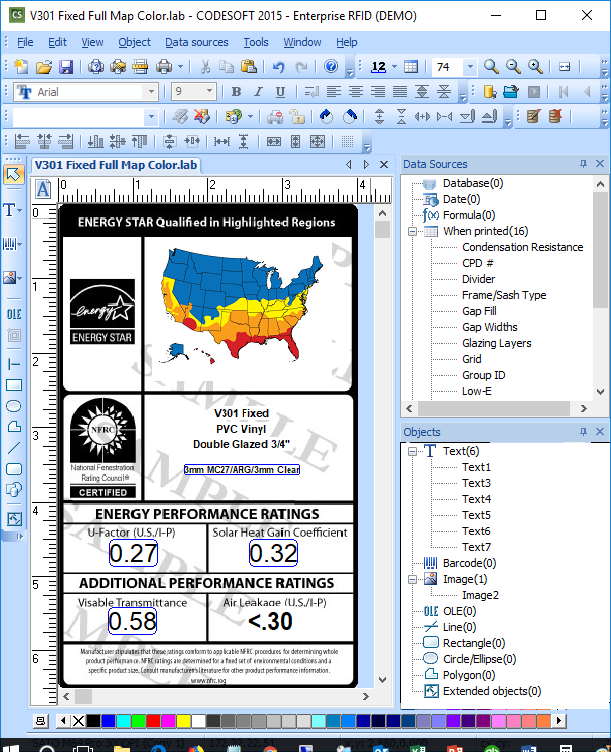 To access TEKLYNX CENTRAL, as a design user, CODESOFT and LABEL ARCHIVE client must be properly installed as a ‘label designer’. This allows the user to Check-out, Check-in, change, and approve labels with proper user permissions. This component existed in TEKLYNX CENTRAL v4 and earlier. It initially controlled access into LABEL ARCHIVE from CODESOFT. Without a Report User, a Designer User (i.e. CODESOFT) could not Check in, Check out, or Approve a label in LABEL ARCHIVE (see problem article below when a Report User is missing “CODESOFT LABEL ARCHIVE Connect Menu Option Appears But Will Not Work…”). For TEKLYNX CENTRAL v5 and later, Report User access is included with the Administrator license. A user printing from a browser will require use of a printer (i.e. a Printer named in the Print Manager) and access to the BBUI (i.e. one of the current Print Users). TEKLYNX CENTRAL determines if the license will allow access to the BBUI when the user logs into the BBUI. Only requires use of a Design User. When the user opens CODESOFT on the workstation, the TEKLYNX CENTRAL server will check for an available concurrent Design User.